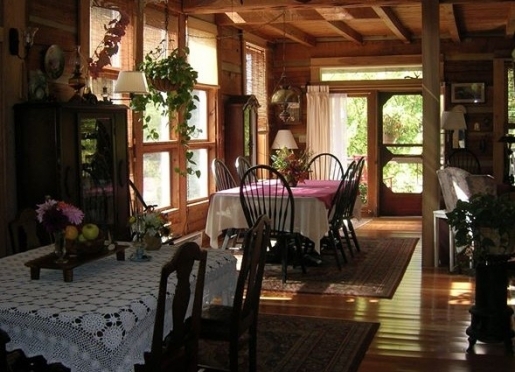 The farmhouse and cabins offer fans, porches and lovely breezes as well as air conditioning. Winter is wonderful with our big fire in the fireplace! 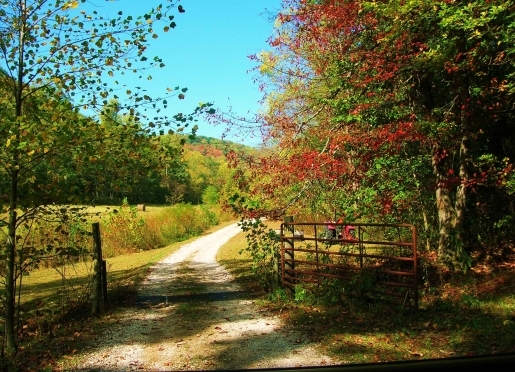 Snug Hollow Farm is nestled in the beautiful Red Lick Valley of Estill County in Irvine, Kentucky just 20 country miles east exit 76 of I75 at Berea, Kentucky on HWY 594 and 50 miles from Lexington. 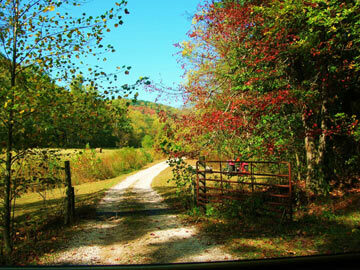 Centrally located, with in hour's drive of Red River Gorge, Renfro Valley, Lexington and only 30 minutes from Berea. 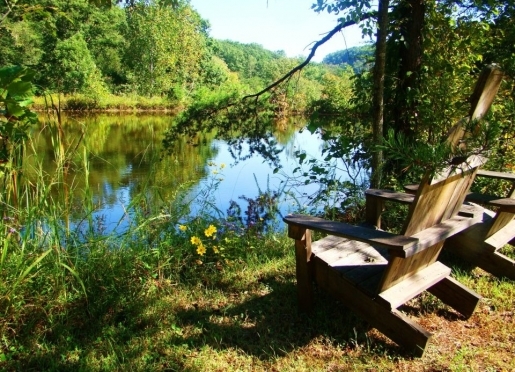 It is an organic farm that boasts 300 acres of babbling creeks, glorious wildflowers, abundant wildlife, wooded mountainsides and the simplicity of country life both past and present. 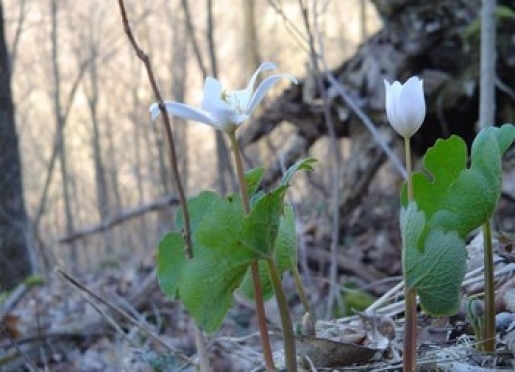 Enjoy Wildflower walks in the spring! Gift certificates are available for a night of holler hospitality. 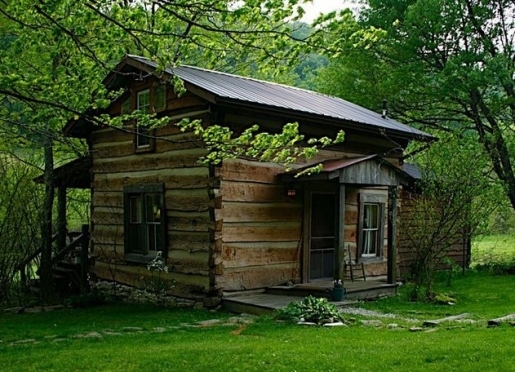 Accommodations consist of a restored chestnut log cabin, a pine/cedar cabin by the creek and a spacious two story farmhouse. The Farmhouse has 2 comfortable bedrooms and private baths. The sitting room invites guests to read a book by the fireplace, enjoy the panoramic views, or simply daydream. We can accommodate groups doing workshops or retreats or staying overnight. Cyclists on the road are also welcome. Spend a lazy afternoon sipping tea in the sun-dappled kitchen, browsing the library loft or enjoying the charming sunroom. 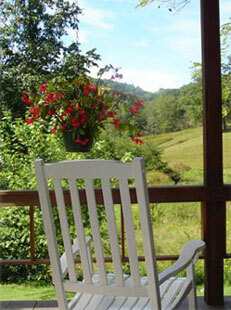 The roomy porches are a favorite place to catch a cool breeze as you watch the wildlife by day or stars by night. Perhaps you may enjoy the cozy chestnut log cabin with fantastic views, handmade quilts and all the comforts of a genuine home in the mountains. You may be lucky enough to nap to rain on the tin roof. 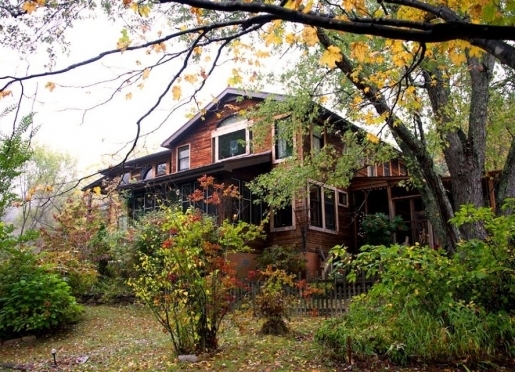 A secluded Bed & Breakfast, Snug Hollow is described by many of its guests as a safe environment in which to rest, relax and grow. It is a perfect place to experience the unforgettable magic of things still wild and roaming. Whether it is bird watching, lending a hand in the garden, stargazing, silent retreats or a weekend vacation sitting in the sun by the pond, this snug little hollow has a restful charm that may add a new dimension to your life. 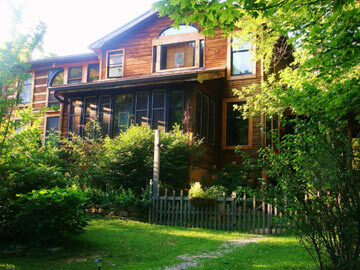 We are known as the perfect writer's retreat with many writers visiting us for inspiration. Dinners are by reservation and delicious. We serve vegetarian fare with lots of our food grown on the farm. 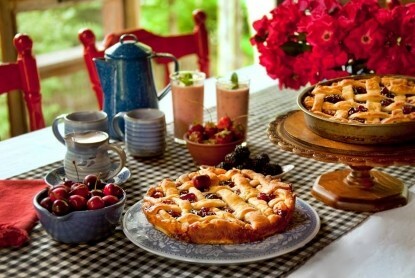 Hearty breakfasts, tasty lunches, country picnics, and elegant dinners are memorable treats including homemade pies, breads and gourmet pastas. Check out our website to order a copy! This book is about the place as it is the food. Breathtaking photographs, practical tidbits, and thoughtful design are inherent. Enthusiastic comments from guests of Snug Hollow Farm are interspersed throughout the pages. The language is warm and informal, the content fresh and inviting, the spin on vegetarian cuisine down home, healthy, and attainable. It is clear that the author intends for the book and the recipes to be savored. She invites you to take a trip to Snug Hollow Farm through the pages of this delightful cookbook. Set aside a little time to peruse this book. Mull over the recipes. Take in the scenery. 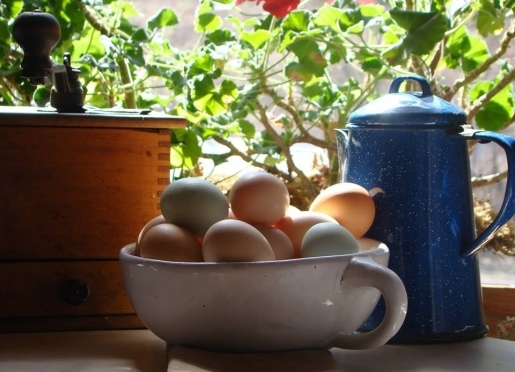 You may be inspired to tie on an apron and get out your mixing bowls. You may decide to try out Barbara’s advice on the best type of shovel for turning soil in the garden. Or you may simply enjoy sitting back and soaking in the stories and imagery. Either way, Hot Food & Warm Memories may just leave you with the feeling that you have, at long last, come home.